Our God Fights For Us! It is almost inconceivable that we would not view our God as a God of war. In fact, the only way possible to think that way of Him is to have not read the Bible. The Bible is replete with examples of God warring and winning on behalf of His children. What parent wouldn’t fight for their children in a number of ways; the Bible clearly establishes God as One who will fight for you. 1. He fights and we hold our peace. Exodus 14:14 – The LORD will fight for you, and you shall hold your peace. 2. He goes before us and confuses our enemies. Exodus 23:27 – I will send My fear before you, I will cause confusion among all the people to whom you come, and will make all your enemies turn their backs to you. 3. He gives us proper perspective and helps in our battles. 2 Chronicles 32:8 – With him is an arm of flesh; but with us is the LORD our God, to help us and to fight our battles. And the people were strengthened by the words of Hezekiah king of Judah. 4. He causes our enemies to stop their pursuit of us. Genesis 35:5 – And they journeyed, and the terror of God was upon the cities that were all around them, and they did not pursue the sons of Jacob. 5. 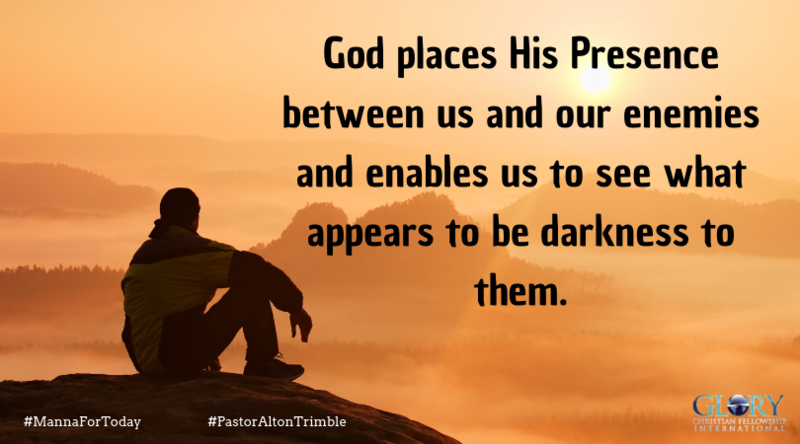 He places His Presence between us and our enemies and enables us to see what appears to be darkness to them. Exodus 14:20 – So it came between the camp of the Egyptians and the camp of Israel. Thus it was a cloud and darkness to the one, and it gave light by night to the other, so that the one did not come near the other all that night. 6. He sends His angels to protect us from that which devours. Daniel 6:22 – My God sent His angel and shut the lions’ mouths, so that they have not hurt me, because I was found innocent before Him; and also, O king, I have done no wrong before you. 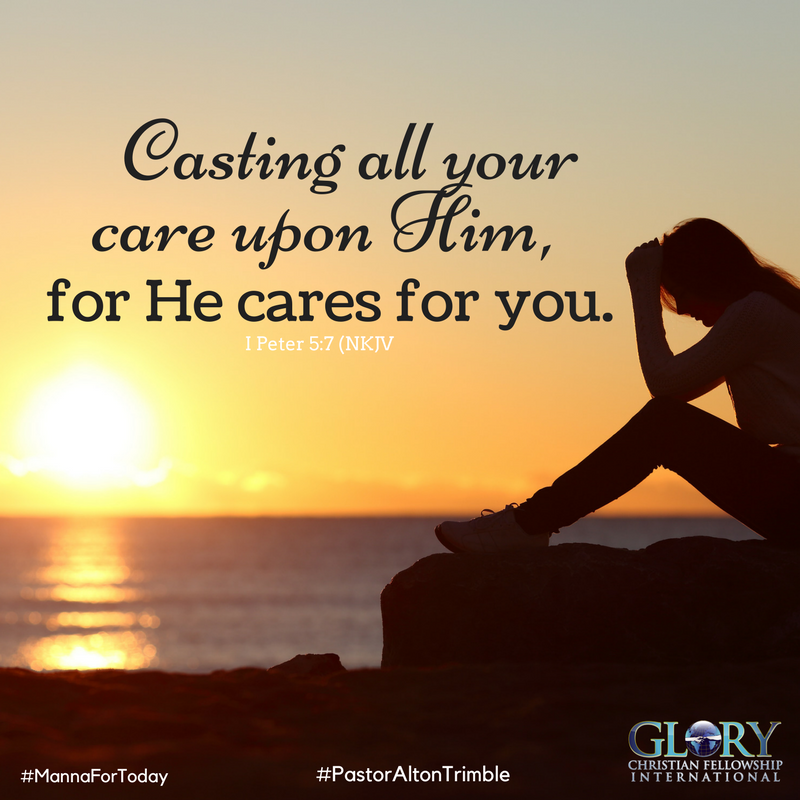 Psalm 27:10 – When my father and my mother forsake me, then the LORD will take care of me. We are sometimes unable to get the kind of approval or support from our parents that we think we need. The inability to provide that needed support could be for any number of reasons. 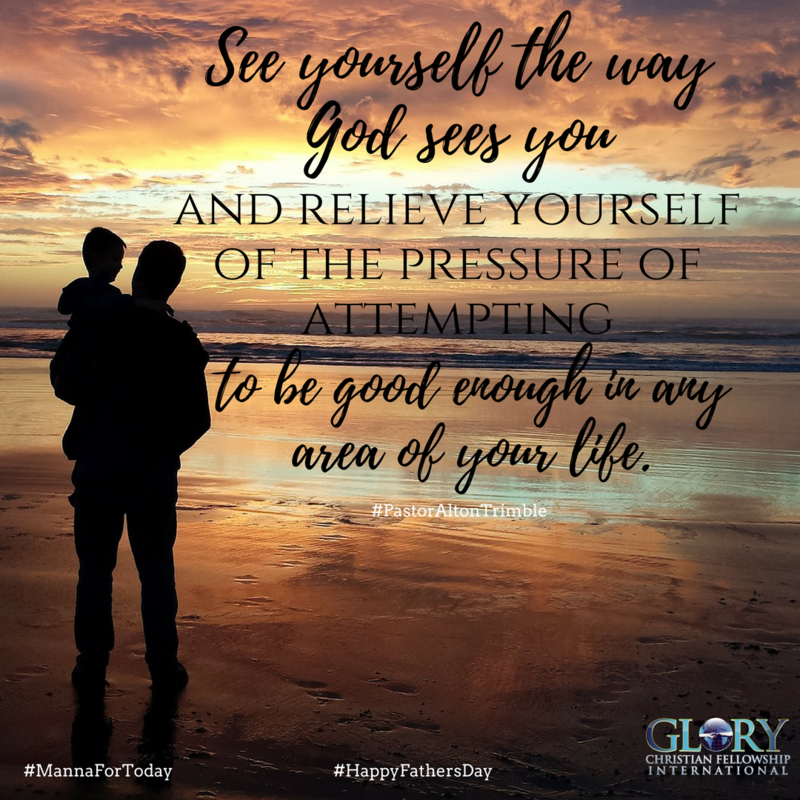 The truth is, we may not ever get the kind of approval we would like from our parents no matter how long we wait, but there is something you can do. Begin the process of re-parenting yourself. How? By taking the scripture above, placing it in your heart and mind and walk in all the nurturing it provides. Start right now by accepting God as your father or mother and allow Him to love you into wholeness. Ephesians 1: 4-6 – How blessed is God! And what a blessing he is! He’s the Father of our Master, Jesus Christ, and takes us to the high places of blessing in him. Long before he laid down earth’s foundations, he had us in mind, had settled on us as the focus of his love, to be made whole and holy by his love. Long, long ago he decided to adopt us into his family through Jesus Christ. (What pleasure he took in planning this!) He wanted us to enter into the celebration of his lavish gift-giving by the hand of his beloved Son. Bask in that for the rest of the day, week or month! Among the many things we learn about our God is that He is a keeping God. God does and will keep you! No matter who is speaking in tension with the Word of your God, choose to believe your God and not people. 1. We are kept in the Father’s name. 2. We are kept in safety. 3. We are kept in joyfulness. 4. We are kept in purity. John 17:15 – I do not pray that You should take them out of the world, but that You should keep them from the evil one. 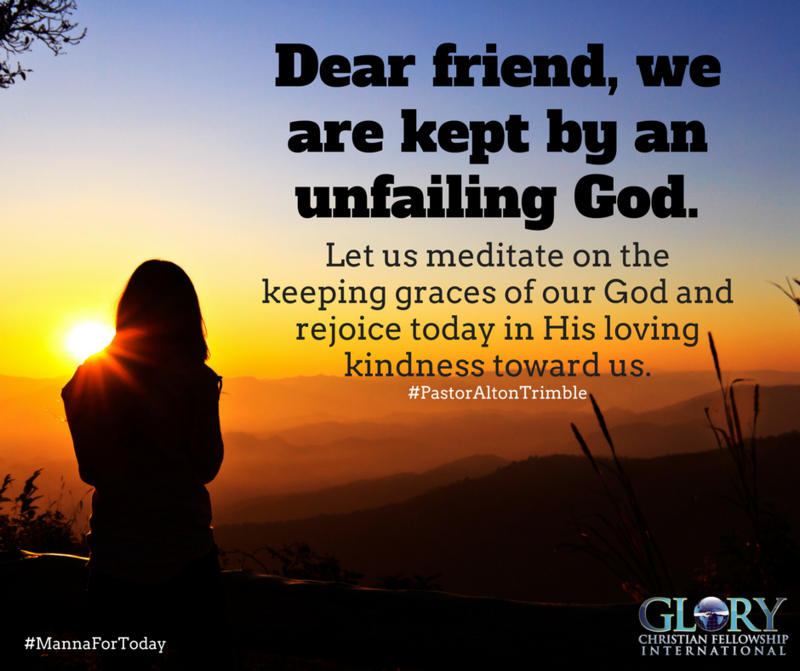 Let us meditate on the keeping graces of our God and rejoice today in His loving kindness toward us. Be kept by your God today! Remember, you are loved! 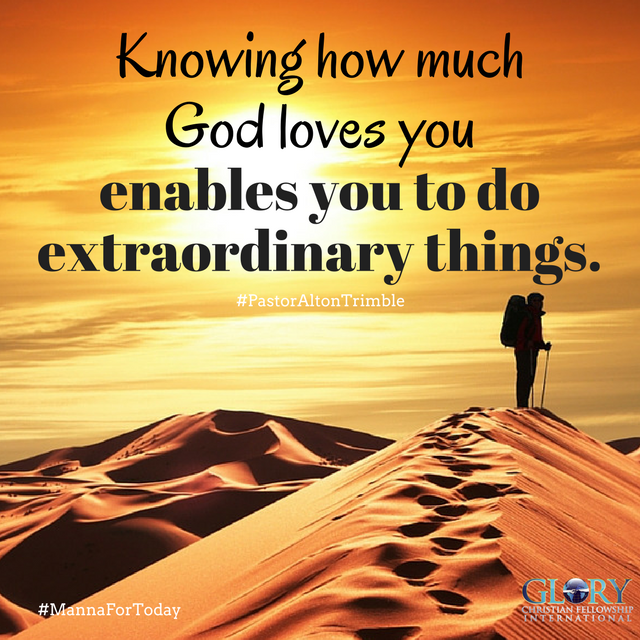 Knowing how much God loves you enables you to do extraordinary things. People’s opinion will always affect us especially those closest to us but we don’t have to be inappropriately influenced by them. People can say awful things about you but it doesn’t have to overtake or direct you. 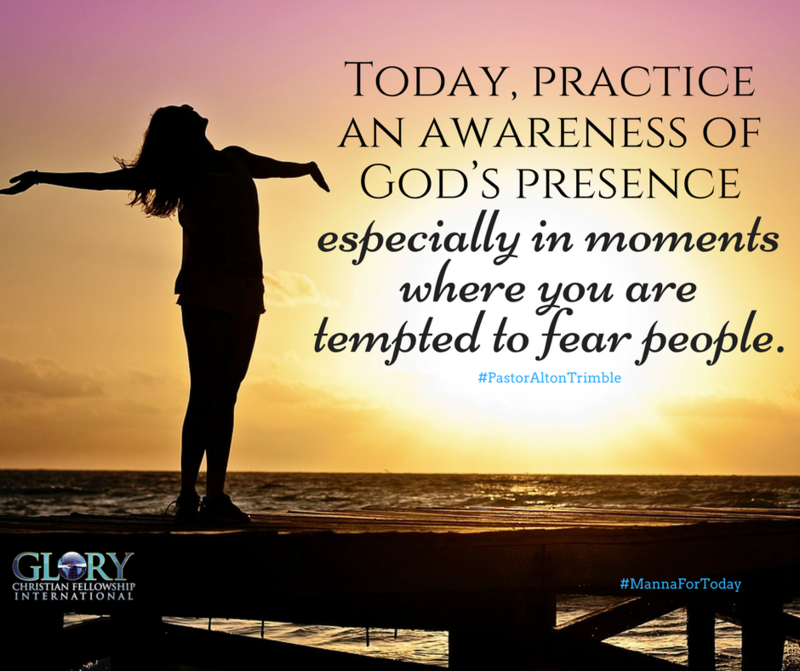 Embrace the fact that you cannot please everyone and focus on pleasing God instead. “If God is for us, who can be against us?” The answer is no one! Practice that mindset daily and remember, you are loved!